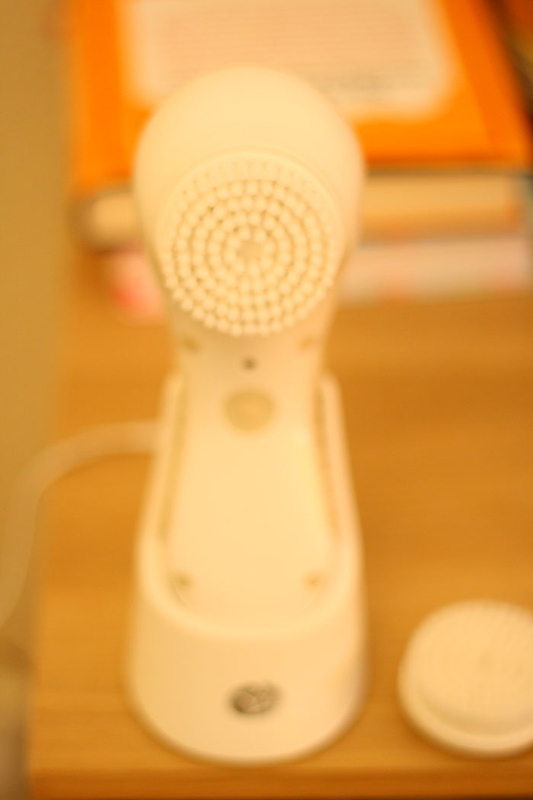 I’m a big fan of electronic/sonic cleansers as a lot of the time, I can be really lazy when It comes to taking off makeup, especially after work/ a night out! Which is why I was excited when the Clarisonics came out; however being the cheapskate frugal person I am, I just couldn’t bear to part with over 100 squid for one. However, a couple of months ago I saw a review for the Rio Sonicleanse on The Sunday Girl’s blog and the first thing that caught my eye was the pricetag; £50! I decided to get my own and put it through it’s paces. 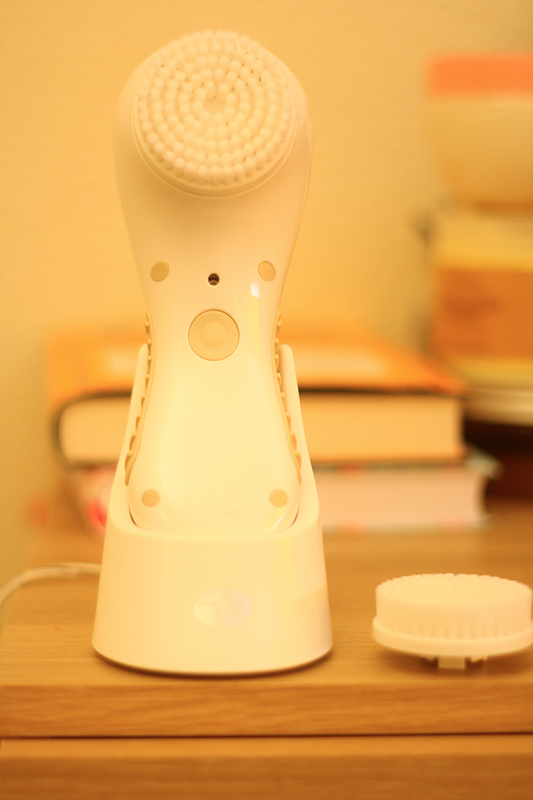 This will be the (LONG overdue) first week review based on day and night usage. I will be posting a month review in due course. The Sonicleanse has been pretty easy to use so far. When you first get it, they advise you to charge it for at least 24 hours, which I did. So far I’ve only had to charge it once this week considering how much i’ve used it. While cleaning my face, I noticed that the cleanser kept bleeping and I had no idea why until I read online that it will bleep every 20 seconds to indicate that you need to move on to another part of the face. Handy! I thought the brush head would spin around, but instead it emits a strong vibrating pulse that did remind me of a power drill. After the first time I used it, my skin felt extremely raw and tight – a bit too raw for my liking, however I could really feel the difference in how clean it had made my skin. It’s almost as if I could feel my pores breathing, which is quite a weird and liberating experience! After the 4th day, the dreaded purge began. I started getting spots in places I didn’t even think you could get spots (on my lip though? O_o) however it cleared up by the end of the week. I’m a bit scared of taking it into the shower – I know they say it’s waterproof but….eh…better to be safe than sorry eh? My skin is the smoothiest it’s ever been and it also seems much brighter too; I find that I’m not using as much foundation as I normally use over the past week or so – savings all round! Right: After taking off my makeup – yuck! Left: Brush head after cleaning. Very easy to clean! – Thoroughly cleanses my skin, leaving it feeling soft, cleansed and able to easily soak in serums and moisturisers. – Those with sensitive skin may not like as much as the brush bristles are quite hard, ESPECIALLY when you turn the cleaner on. It would have been good if they could have included a softer bristled brush – when I first used it my face was on fire but now I think i’ve become used to the sensation. As this is only the first week review, I haven’t amassed a huge amount of cons just yet, but let’s hope it stays that way, but so far I’m loving how thorough and clean it makes my skin.